Rest days, a fitness junkies dream along with huge bowls of pasta and protein pancakes. However, rest days don’t mean you have to become a sofa bear for the day, they simply mean that you can take your foot off of the gas pedal a little and take it easy. 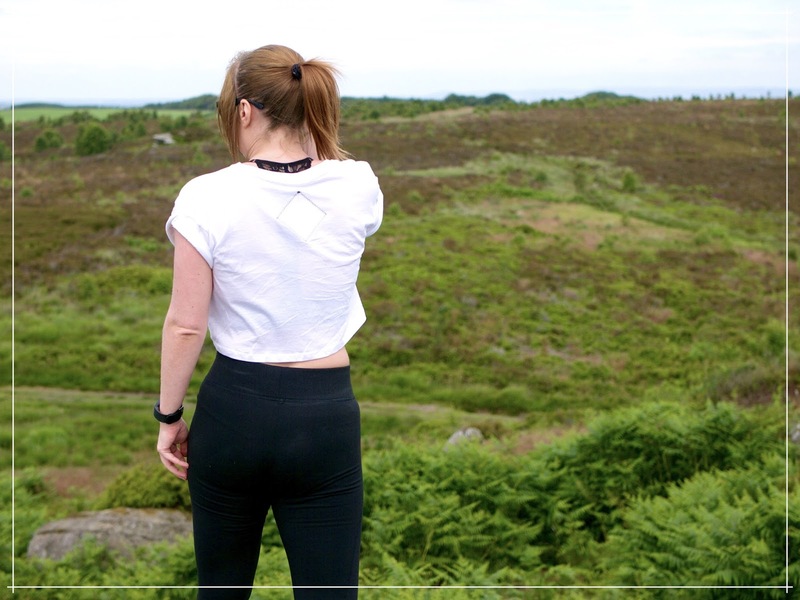 Last weekend I made a snap decision that I wanted to spend my Sunday outdoors, exploring and generally just enjoying life as opposed to spending a few hours cooped up in the gym. Who wouldn’t, it was forecast to be gorgeous! And so after hitting an early morning spin class (I felt the need after my Saturday night cheat meal) I coated myself in Ladival Sun Cream because let’s face it I burn like a peach in the UK, grabbed my favourite activewear from Ushiwear and headed off with Paul to North Yorkshire and the gorgeous Brimham Rocks. The sun was definitely shining on us and we immediately set off exploring the amazing rock formations, trying to spot the chirping crickets (I honestly felt that I was abroad) and found an amazing view to enjoy whilst we tucked into our healthy picnic. I managed to create an on plan low carb picnic basket to enjoy whilst we were there with a tub of freshly prepared chicken and veg, a few slices of egg loaf and some cashew nuts. I think I’ve finally learnt that having a day out doesn’t mean you have to have a day off too! The outfit I’m sporting in the pictures above is, as I briefly mentioned, from the fabulous Ushiwear a local brand that I featured on here a few weeks ago. 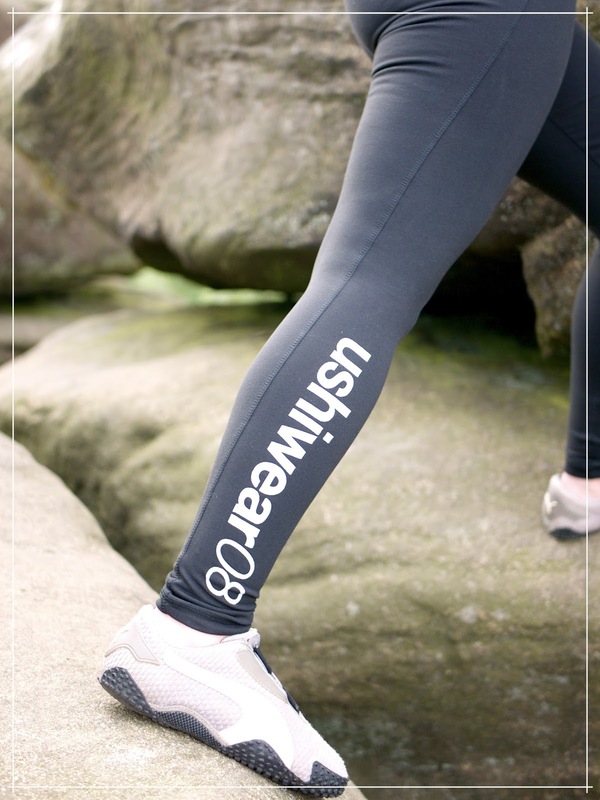 These leggings are absolutely fantastic they fit fantastically well, hug you in all the right places to give you a wonderful silhouette and even on a hot day like the one above they’re super comfortable to wear. I teamed my leggings with a cropped Ushiwear tee which is really simple, perfect for chilling out in the Summer (I could happily team it with a pair of shorts and wedges for an afternoon at the pub) and has some super cute little details on it like the ‘UW’ logo, the ‘Beautifully British’ tag and rolled up, cap sleeves. I love this top so much I will most definitely be taking it on holiday with me in September. Although Brimham Rocks is always a very busy attraction (it is looked after by the National Trust) but because it’s a fairly big, open space you can always find yourself a little piece and quiet. In fact after a few hours of walking around, enjoying the fresh air and taking plenty of pictures, we climbed up onto the top of one of the rock formations away from the hustle of the main walk and spent a little time soaking up the rays before heading home and a cheeky little 99 from the ice cream van (it would have been rude not to)! Summer days are made for living, loving and laughing with friends and family and as much as I want to achieve my goals, I don’t want to become obsessed with them and let life pass me by.